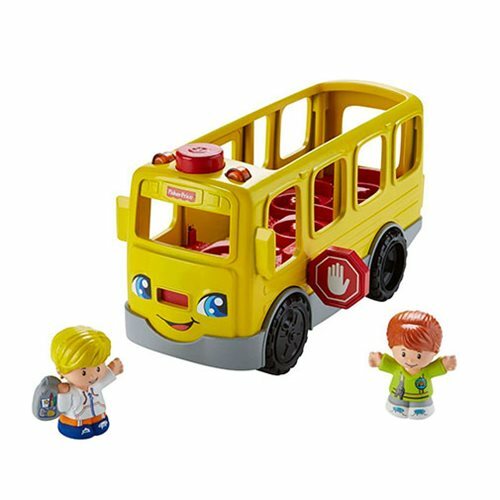 Get little ones excited with the Little People Sit with Me School Bus! Get the fun started by pressing the discovery button to flip open the stop sign and pop open the door to let on passengers. Bus Driver Emily is ready to greet little Eddie and wish him a great day as he heads to school. Place Bus Driver Emily in the driver's seat to hear fun songs and sounds, and then roll the bus along to hit the road!